Driving is considered a privilege in Florida. As such, if you violate certain traffic laws – including those prohibiting driving under the influence – you can be penalized under the DMV’s point system, and may even lose your license. 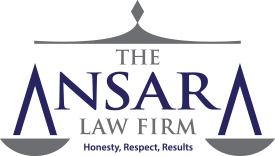 At The Ansara Law Firm, our Fort Lauderdale DUI defense attorneys not only represent our clients in criminal court proceedings, we also help them with proceedings before the Florida Department of Highway Safety and Motor Vehicles. Interestingly, a DUI itself will not result in the addition of any points on your license. However, related offenses, such as running a red light or reckless driving, will. However, most DUI convictions do result in suspension of your driver’s license. The length of that suspension depends on a myriad of factors, including the skill of your defense lawyer. Minimizing the damage to your driving record means working closely with an experienced traffic crimes attorney knowledgeable about the law and your legal options. Every driver who is given a license in Florida starts off with a clean slate of a driving record. However, they will accrue “points” if they receive a traffic citation for certain offenses. Most offenses for which points are issued involve three or four points. Some offenses – like leaving the scene of an accident – will result in six points assessed on your license. If you receive 12 points within a single year, your license will be suspended for 30 days. If you get 18 points within 18 months (including your points from the 12-point suspension), you will get another 3-month suspension. If you incur 24 points over the course of 36 months, your license will be suspended for one year. Many drivers in Florida have more points on their license than they realize because out-of-state offenses count against you. People get a ticket out-of-state, they pay that ticket and think it’s over and done. They may be surprised to learn the points for that offense transfer back to the state of Florida and are recorded on your driving record the same as if you had received that ticket here. Many of these offenses are filed at the same time as a DUI charge, and are often the reason the driver was stopped by law enforcement in the first place. While convictions for DUI, DUI manslaughter and other related offenses do not result in any points accrued on one’s license, they will often result in license suspension. DUI Manslaughter – Mandatory permanent revocation. If defendant has no prior convictions for DUI, may be eligible for hardship reinstatement after 5 years. DUI with Serious Bodily Injury, Manslaughter or Vehicular Homicide – Minimum 3 years revocation. If there is a prior DUI conviction, mandatory permanent revocation. It should also be noted that if you refuse to submit to a breath or urine test when asked by an officer with reasonable suspicion, you will incur an automatic one-year license suspension under Florida’s implied consent law, F.S. 316.1932.